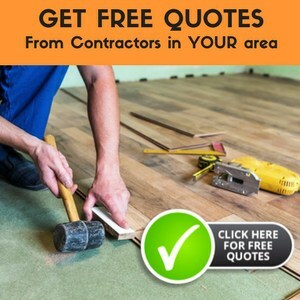 Qualified Flooring is necessary for a home and what is says about the age of the home. Though there are many types of flooring, it is your responsbility to choose the consistent one for your home. Travertine flooring is there to help you acheive your goal. 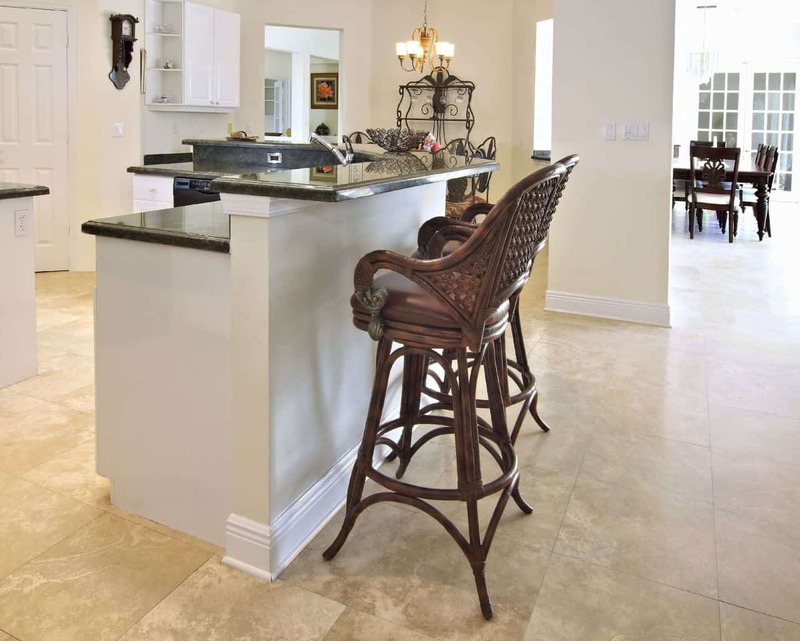 Travertine flooring is not limited as it includes tile and mosaic. If you want to increase the durability of your flooring, then travertine mosaic is your only solution. Travertine is basically a type of stone flooring which will give both durability and also beauty to your home. It is a natural sedminetary rock that belongs to the category of limestone family. 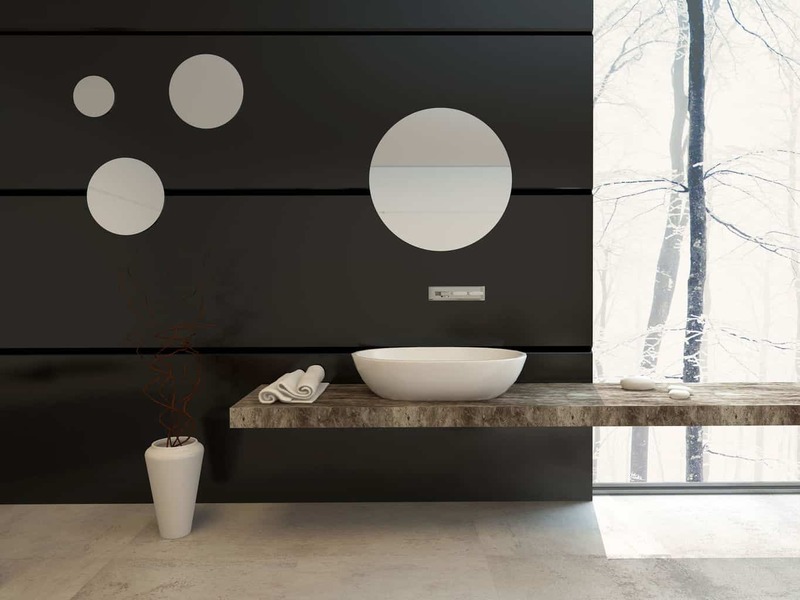 Its beauty is calssified into onyx marble, Mexican onyx, Egyptian alabaster and oriental alabaster. You may ask what is the special purpose of this flooring for various locations like home and office? Travertine stone is made when minerals are disintegrated in ground water. They are supposed to be brought to the surface by geysers, rivers and springs. It is also obtained if limestone is placed under pressure for long periods of time. If travertine is placed under pressure for a long time, it will become marble. Travertine is better quality than limestone and marble is better than travertine. When this travertine is supposed to udnergo the manufacturing process of travertine tile, it follows a cutting operation. The stones are getting converted into thin tiles. These tiles undergo further finishing touches to give them a smooth look. Polished tiles have a a brighter shine, since it undergoes polishing untill it is flattened and smoothed enough to catch and reflect light. The consistency of travertine is equal to other tile stone floors. It is equal to marble in that it may break and crack. In order to make it last for a long time, it has sealant added. The unsealed travertine should not be used in food preparation areas, since it will absorb any straing quickly and is very difficult to remove. If the place is a more populated area, then travertine mosaic would be a more suitable choice. Mosaic is able to carry heavy loads in comparison with travertine tile. Travertine tile with most often come with a hardness rating of about 4 in manufacturing which is similar to marble strength. 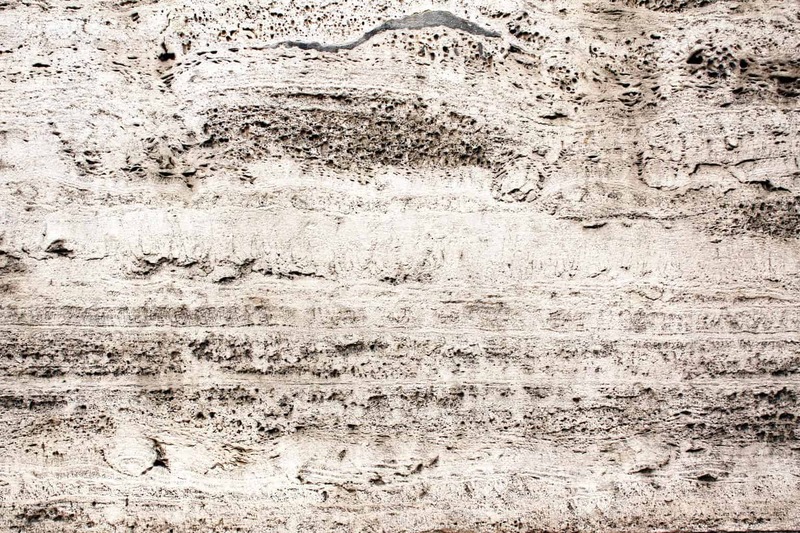 Travertine has been used for thousands of years for residential buildings. If you compare marble with travertine, travertine is easy to see and so its vast application can be seen in higher trafficked areas. Today, it is used not only for flooring but also in wall coverings. If it is unsealed and unpolished, it may react with acids. Even a simple orange can leave a stain on the floor. For this cause it is more important to avoid unsealed flooring particularly in food preparation areas. 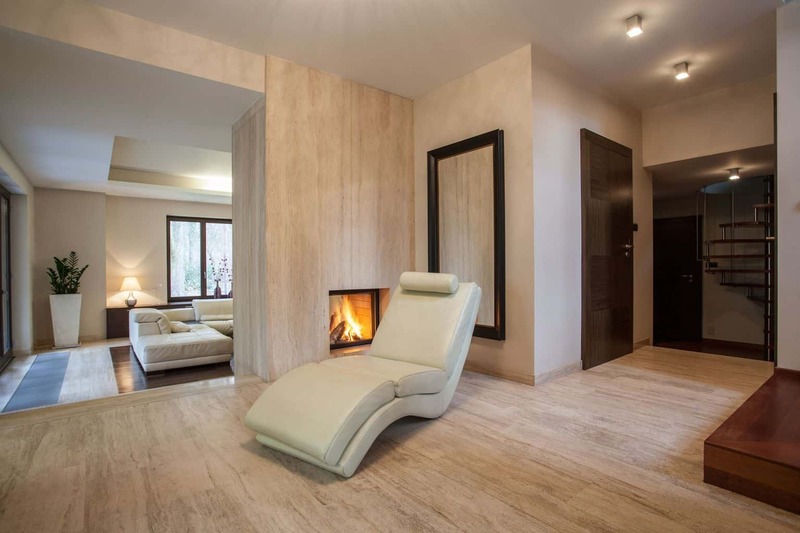 If you want to add flooring to your home in a timley manner, you can opt for travertine flooring, since installation of travertine flooring seems to be very easy. On the other hand, if it is polished and sealed, it will become durable and reliable.​ It may not be a suitable choice for bathroom flooring. Travertine stone flooring is very easy to clean and is said to be eco-friendly. It will be more prominent for your home as it does not absorb odors or gases. Since it is sealed, the dirt will remain in an upper layer of stone instead of staying in the ground. Therefore, it can be easily removed. Sealed travertine flooring is more prominent for the kitchen, since it will help in removing staind easily. If you add beauty to your home, then you can choose for travertine mosaic flooring which will not only serve to beautify but also add quality to your home. If the holes are just indentions on the surface and are sealed, the tile should be alright to use. But, they may hold water in those places and you may want to install those further from where water will be dripping regularly. I would also check with a professional installer or the manufacturer on the weight of the bathtub being on the tiles. Just to be sure that the tile you have will be strong enough to not crack under the full weight of a tub filled with water. I do not have experience with a mosaic floor. But, I would not think that keeping it level would be more of an issue than any other mosaic floor. 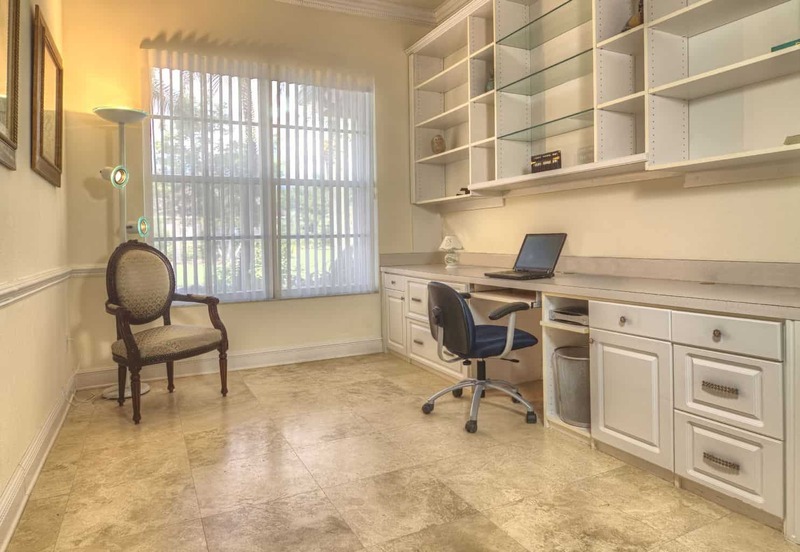 Thank you for the post on adding beauty and quality to your home with travertine flooring. I had never heard of travertine flooring before my friend talked about having it installed. I like that you mention the quality of tile in terms of travertine is better than limestone and marble is better than travertine. That helps gain a better understanding of where it sits in terms of price and durability.